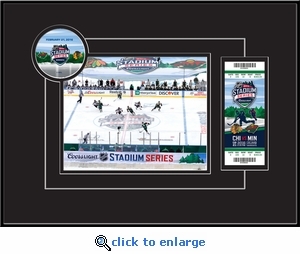 2016 NHL Stadium Series graphic displayed in unique circle cut out. 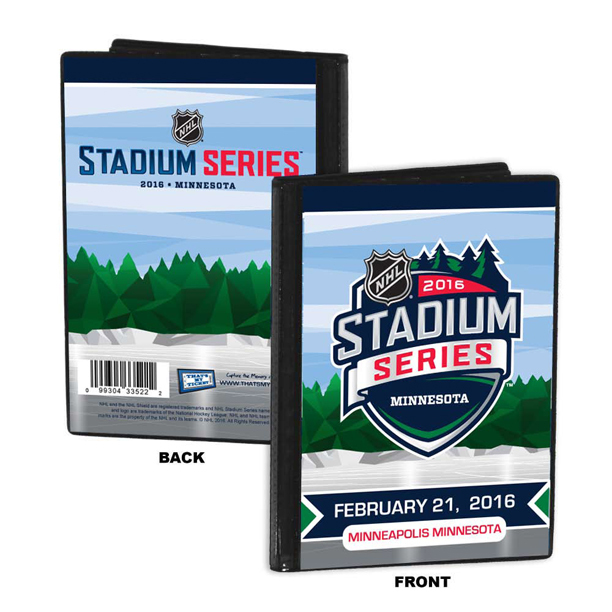 Officially licensed 8x10 photo taken during the 2016 NHL Stadium Series game. Includes easy-to-follow instructions for adding your ticket. As an option you can send us your ticket and we will put it in free of charge and then ship your Ticket Frame ready to hang. Double matted in black using a white-core mat board and a gloss black metal frame. Overall size 14 (H) x 20 (W). GOT PRINT-AT-HOME TICKETS? If you attended this game but received a print-at-home ticket for entrance into the stadium, we have just the thing for you - a replica ticket. 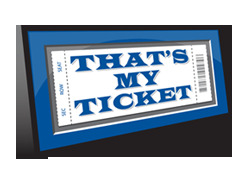 Simply provide us with your ticket information above and your frame will come with a personalized officially licensed replica ticket ($15.00 additional cost).